In this final post of the year we want to share some of our achievements and reiterate the thoughts of our colleagues from some of our most popular blog posts. Happy New Year from all of us at DWP Digital. “Our Digital business is focused on designing and delivering integrated products and running them as 24x7 services. Mayank Prakash: "Our strategy is to deliver"
The work of our colleagues over the last 12 months really reflect this vision. And we’ve played an active part in the cross government community during the year, joining up with NHS Digital to jointly deliver services such as Report Your Patient is Terminally Ill where user research and collaboration was at the heart of developing the service. We’ve supported the burgeoning One Team Gov agenda, and we blogged about our involvement in events such as Transforming Together which is focused on the transformation of services across government. At DWP Digital we’re building user-centric services to improve outcomes for society and re-imagine customer experiences. Our data scientists developed a new application that revolutionises the way policymakers access and use information. The ‘Churchill’ application runs entirely on open data and allows policymakers to safely explore the data by geography, time and characteristics to develop and deliver data-driven and evidence-based policy. Watch a short video about Churchill here. User researcher Jude was excited when we decided to experiment with running a week-long design sprint. In her blog post she talked about ensuring user needs were fed into a user-centric designed prototype that could be effectively tested in the short timescale. The sprint gave the team a chance to see and get involved with everything user researchers do and it sparked conversations that helped to collectively understand the issues, processes, insights and needs that ultimately fed into the building of prototypes. And Adrian, one of our enterprise service architects, shared his experience of combatting duplication across services. 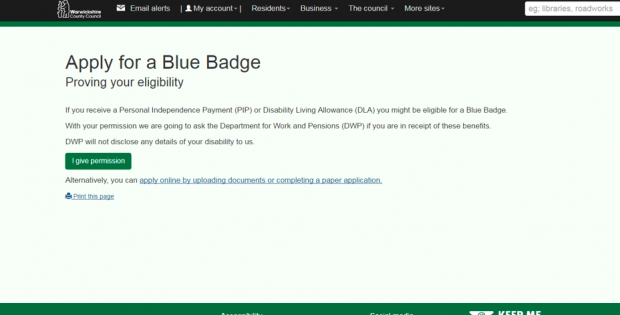 He worked with Warwickshire County Council and the Government Digital Service on a ground-breaking pilot project to help disabled people in Warwickshire renew Blue Badge parking permits online. 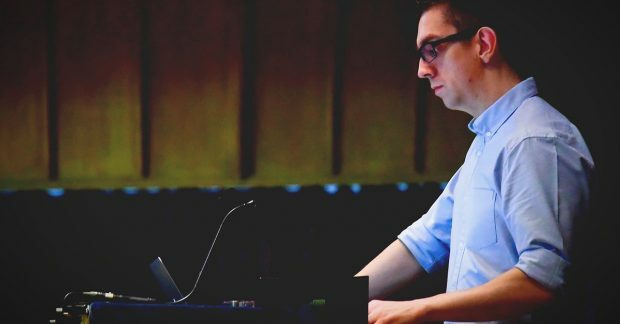 It’s also been a year of successes and recognition for DWP Digital on an industry level, demonstrating that government is no longer behind the curve when it comes to digital technology. At the National Technology Awards, Carer’s Allowance Digital Service was shortlisted for Best Public Sector Project and we also picked up the award for CIO of the Year. At Computing magazine’s prestigious Digital Technology Leaders Awards, 8 of our entries made the shortlists including Best Place to Work in Digital. 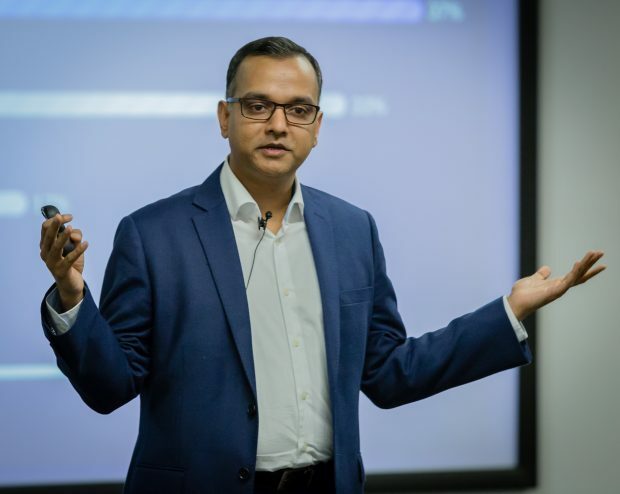 And earlier this month, Mayank Prakash was voted as Computer Weekly’s most influential person in UK IT 2017 – an accolade he attributes to the fantastic teams he works alongside at DWP Digital. We still can’t stop talking about the #HackTheNorth event we held in November, which aimed to generate solutions to help address unemployment challenges in Manchester. The innovation and creativity on display at the event blew the judges away and generated a real buzz in the Manchester digital community. New colleagues joining us have been pleasantly surprised by our fast-moving and problem-solving culture. Service designer Vimla’s blog post about her first week with us said one of the best things about it was learning by doing. Vimla was also impressed by our numerous initiatives across the organisation to address diversity issues. She joined a Women in Technology networking meet-up and said it was a great opportunity to meet some of the inspiring women that she’d be working with, and also showed her that DWP practises what it preaches. Jon’s blog post about how we are building a digital culture in DWP supports Vimla’s experience. 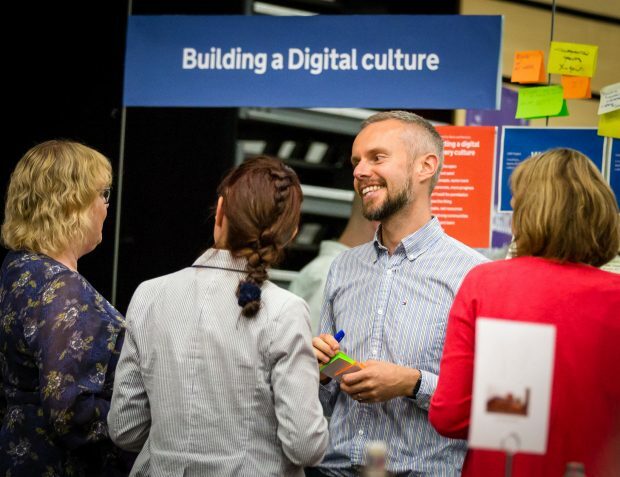 In the summer Jon ran a session for DWP Digital leadership about how we are building a digital delivery culture. He listed 10 practical steps we’re taking to transform our organisation. 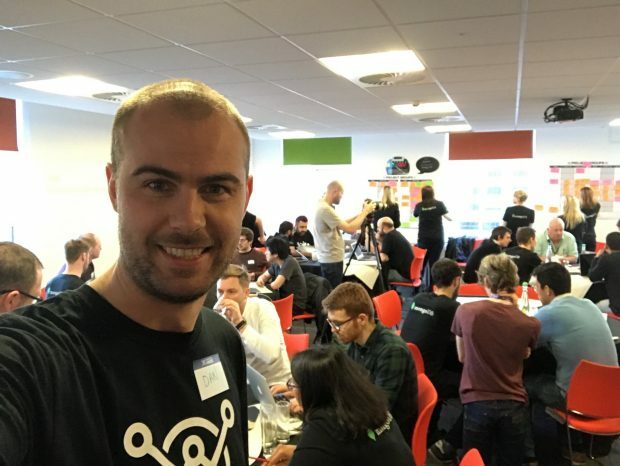 Jon also blogged about how this year DWP Digital teams have started joining together in communities of practice as we look to share knowledge, capability and experience to help us build better services for users. In February, Zoe blogged about how a thriving and active product management community is starting to develop. And we’ve blogged about ways in which we’re experimenting with new techniques to help us build better services, such as a visual alternative to customer journeys and putting user research skills into practice at events such as GovJam. We’ve been taking practical steps throughout 2017 to make our organisation more reflective of the community we serve and truly embrace diversity and inclusion. Colleagues have shared their thoughts and personal experiences on important days in the diversity calendar. In January, Val shared Time to Talk about mental health, raising awareness of mental health issues and Gavin was breaking taboos on mental health in October. Kevin blogged about celebrating the International Day for the Elimination of Racial Discrimination in March. In June, Jane and Melanie’s blog post caring colleagues highlighted the Civil Service’s great policies for people with caring responsibilities. And we celebrated Disability Awareness Day in July, when Maggie shared her personal story with a little help from my friends. In DWP Digital we really champion LGBT* inclusion. Our colleagues Shelley and Rachel were recognised for their work championing LGBTI inclusion when they were shortlisted for the Civil Service Diversity and Inclusion award. Rachel blogged about the importance of people feeling relaxed and happy in their work environment, and Shelley’s blog Pride in our work has been read more than 5,000 times. We’ve also done absolutely loads of work to improve gender parity in DWP Digital. 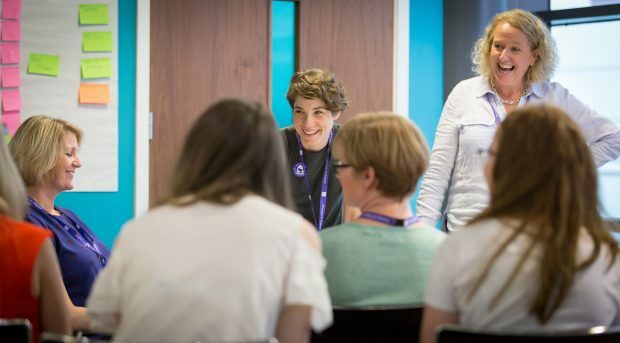 Our Women in Digital event in June saw us partnering with tech industry leaders and our own Women in Technology group champion Sue has written several blog posts about why we’re committed to redressing the gender balance in digital roles. We also took part in important campaigns such as International Women’s day, and we supported Ada Lovelace day with our ‘inspired by Ada’ campaign when Fivi shared the importance of female role models in the digital space and Gemma posted Ada and me: what we’ve got in common. Every day we take a step closer to becoming the inclusive department that’s representing the community we serve, and leading the way with government digital transformation. It’s been a phenomenal year and we can’t wait for 2018!